Spring is in full gear throughout the vineyards of Washington. Contributing photographer Richard Duval recently traversed the state looking for iconic vineyard views. 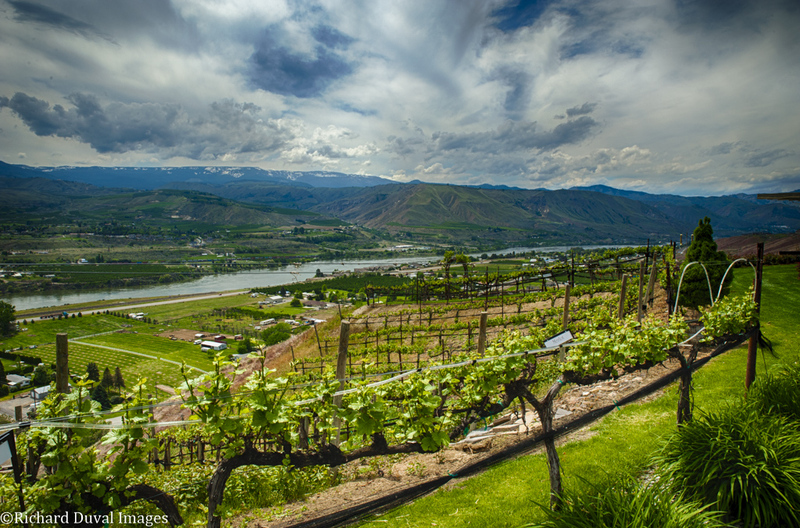 "Wenatchee's rich landscape is dotted with orchards and vineyards," he noted. "When the light is just right, I like to capture the vines of Martin-Scott Winery, with its stunning view of the Columbia River rolling through the Wenatchee Valley."